Trend regularly tweak their vast range of router cutters by introducing new types and sizes of cutter that give users yet more choice. Here are some of their newer cutters that have interesting applications for trade users. 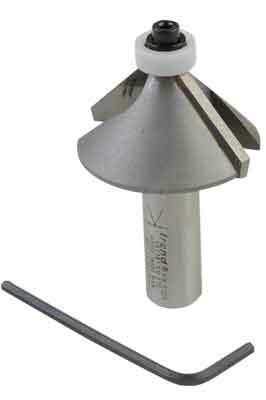 This is a chunky chamfer cutter with plenty of carbide and safety cutter body design. It will cut all wood-based materials from solid wood to MDF and everything in between but it also comes with a nylon bearing for solid surface material, e.g. Corian and similar manmade products that could mark with un-sleeved bearings. It will machine up to a 20mm chamfer if necessary. 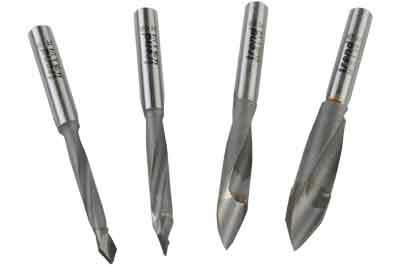 These mean-looking pierce and drill TCT-tipped cutters are intended for drilling abrasive materials but could find plenty of use elsewhere, such as solid wood either in a drilling machine or router. 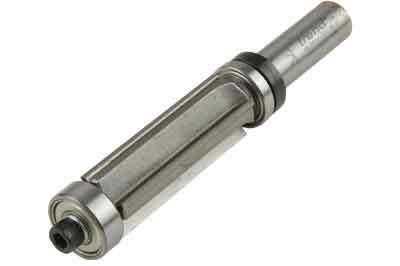 They come in 5, 6, 8 and 10mm diameters and have what appears to be a 60° tip profile. Spiral length including the tip is 40mm. This trimmer is designed to give a super fine finish, having no less than four cutting edges. 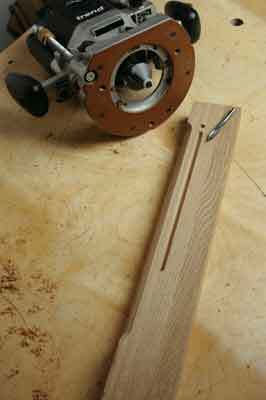 It also has a bearing top and bottom so the user can turn a workpiece over if it has difficult grain and still follow a template. It is only intended for light passes up to 2mm deep. The actual cut length is 51mm. These are all useful, well designed and made cutters you should consider if you have the right task waiting. It is worth checking the Trend catalogue to see the full range before making your choice as the range is so vast. How fast can you scribe?